Palacios Sausage (Pack of 4) is made with ground beef and pork fat, seasoned with paprika, garlic and stuffed into natural casings. 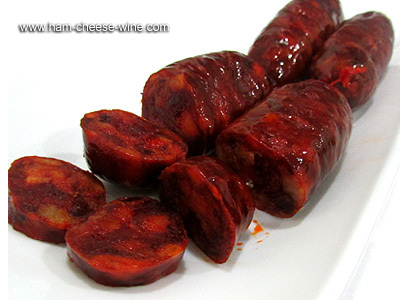 The red color so characteristic of sausages comes from paprika. 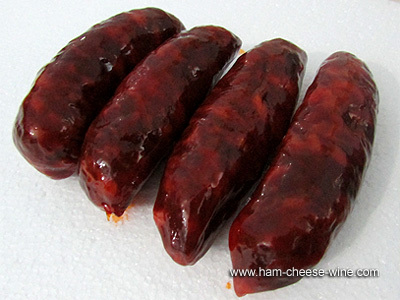 The perfect combination of lean pork and traditional curing, makes for a natural and quality product, with high caloric value and high biological value protein and special organoleptic characteristics. It comes in packs of 4 sausages, each 185 gr (6.5 oz). Made without preservatives or colorants, it has a unique taste, a prestigious and widely recognized quality, allowing Palacios company to become a leader in national and international market for sausages. Eat Palacios Sausage (Pack of 4) provides benefits to our health because this product contains amino acids that contribute to tissue repair and aid digestion, vitamin B1 that helps to synthesize amino acids more effectively and turn food into energy, vitamin B12 which have a positive influence on nervous function and facilitates the use of iron in our body, and provides selenium, an antioxidant that helps eliminate free radicals. The traditional production process of Palacios Sausage (Pack of 4) is very simple and consists of several phases including mincing of meat and bacon, mixing and kneading the meat with the spices and then rest and maceration, inlay the mass in pig intestines and finally curing where sausages are tied and exposed to air in a natural environment, choosing the right places to do so. 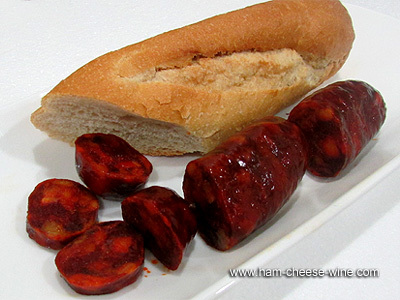 If you like chorizo, tasting Palacios Sausage (Pack of 4) cured with garlic and paprika will delight your palate. 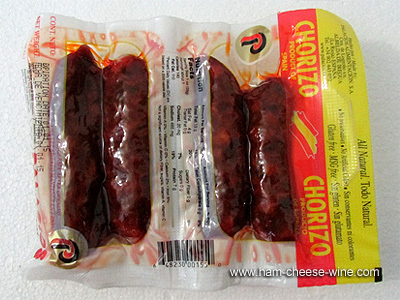 The smoky flavor of Palacios Sausage (Pack of 4) has a distinctive Spanish taste that sets it apart from the rest of Mexico sausages and from other European sausages. Store at room temperature. 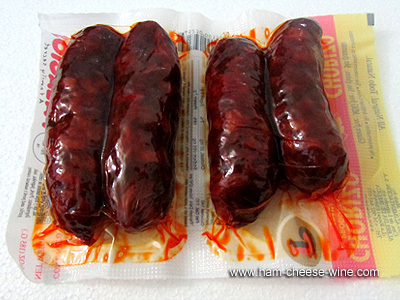 Do not remove the skin of the whole piece of Palacios Sausage (Pack of 4), only what you will eat. Store in a dark, cool, dry place; a cupboard or pantry is ideal. Sausages suffer transformations in color and taste if exposed to light for periods of time. Cover the cut with a plastic film or wrap with a cotton cloth. And especially do not hang next to the kitchen, but keep it in a horizontal position in the pantry or the place you choose, as temperature changes deteriorate the taste and texture. This family company dedicated to the production of Iberian pork products carries out the entire production process, from breeding pigs in the field, in open range, to the development of all its products. The natural drying of hams and sausages gives that unmistakable touch in aroma and flavor, which for generations has been shared with their customers. Today, the third generation leads the company combining new technologies with the traditional methods. Embutidos Palacios meets and exceeds the strict quality control of products and processes to adapt to the requirements of CE 178-2002 Regulation which came into force in 2005.